The fifth installment in the popular TPS series, in which the players assume the role of Kait Diaz, a character featured in Gears of War 4. 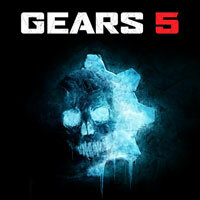 Gears of War 5 is the fifth (if one does not count the prequel titled Gears of War: Judgment) installment in the best-selling shooter series that is overwatched by The Coalition ever since the development of the fourth installment (before, the developers at Epic Games were responsible for the series). The action of Gears of War 5 is set after the events featured in Gears of War 4. The main protagonist is Kait Diaz who, accompanied by Delmont Walker, set off on a long journey through picturesque, yet dangerous areas of planet Sera. Kait wants to learn more about the Locust origins and discover the mystery behind nightmares she has been having that, according to her, hide some sort of message. In the game, players observe the action from the third person perspective (TPP). On their adventures, players can visit diverse locations including deserts, sunken ruins, and a giant glacier. Once again, gameplay involves mainly fighting opponents (comprising regular units and powerful bosses) using an elaborate arsenal of weapons and gadgets. In combat, switching between available gear is equally important and using the cover system. Gears of War 5 revolves around the story campaign, players can complete alone or in a 2-player cooperative mode (either online or split screen). In addition, the game features a competitive multiplayer mode. Gears of War 5 is based on the Unreal Engine 4 technology and uses its full potential. The game delivers high-quality 3D visuals. Moreover, the game runs on Xbox One X and powerful PCs with 4K resolution and 60 FPS.